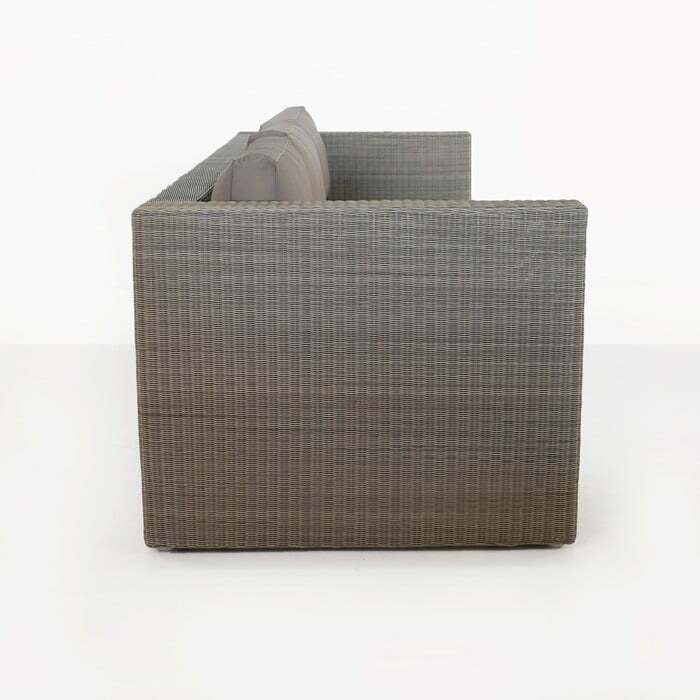 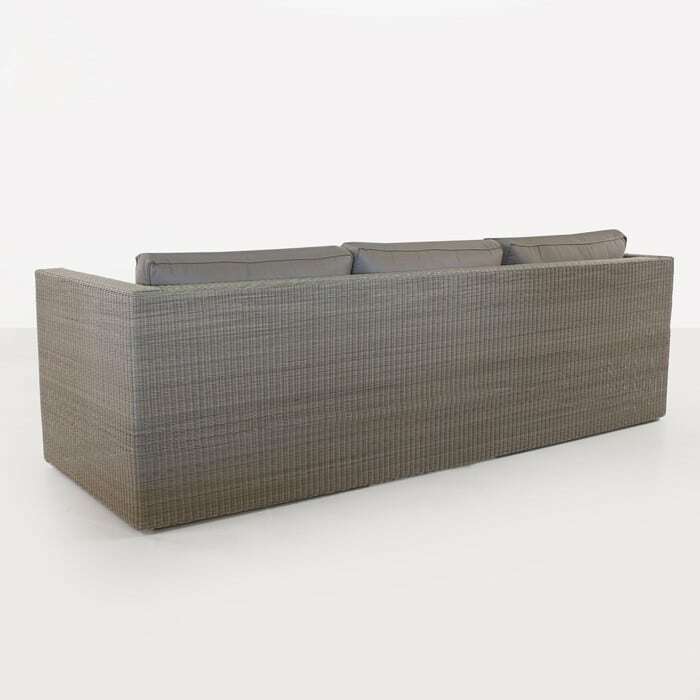 This gorgeous linear, square sided outdoor sofa makes an instant impact with the gorgeous Stonewash colored synthetic outdoor wicker, tightly wound over a powder-coated aluminum frame built with clean, sharp angles. 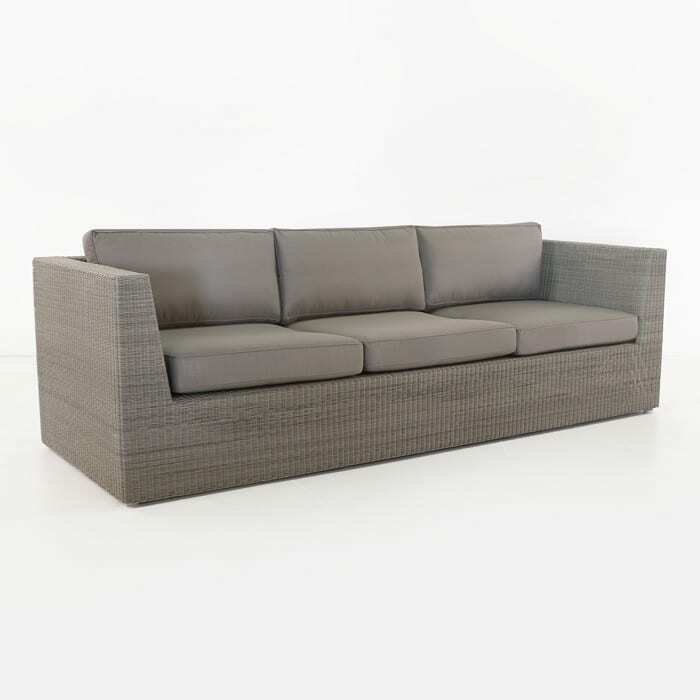 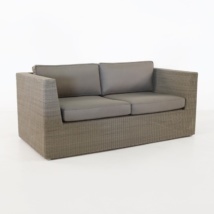 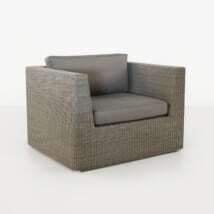 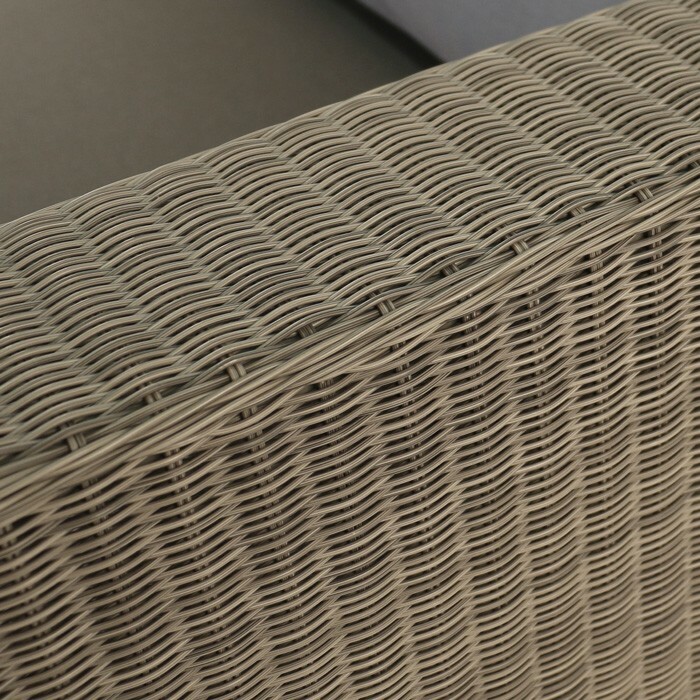 Made from the finest materials, this synthetic outdoor wicker full-size sofa is made for full-time outdoor use and offers exceptional comfort, stunning looks and a perfect spot for three adults with ample room to really relax. The long, linear look is complemented by the clean, sharp looks of the sofa, and the deep seating comfort of the Sunbrella cushions. 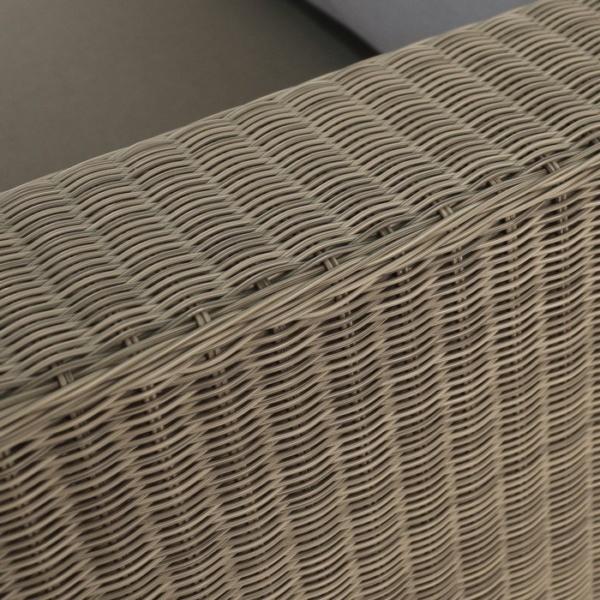 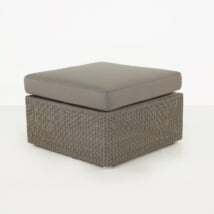 The Sunbrella cushions are included free of charge as shown. W96.5" x D35.4" x H31.5"